The opinions expressed herein are my own personal opinions and do not represent my employer's, or anyone else's, view in any way. I recently began working with WPF for the first time. I was doing this outside of my job on my own time (which is sometimes quite limited). I had never worked with WPF before this venture. I decided to download a trial copy of Microsoft Expression Blend 2 to check out the designer side of WPF. The first thing that I noticed was the menus. The menus had a black background with white text and the submenus had white borders and white menu separators (pictured below). I decided that I liked this look and set out to implement this using Visual Studio 2008. This entry describes how to create this menu. The MenuItem style first sets the foreground color to the parent Menu’s foreground color (line 2). Then comes the Template, which is where it gets interesting. The Template starts with a Border around a Grid. The Grid has 4 ColumnDefinition items. The first is for the icon or the checkbox (depending on the type of MenuItem). The second is for the text of the MenuItem. The third is for the input gesture text (e.g. Ctrl-S). The last is for the arrow, if the MenuItem contains a sub-menu. The contents of the columns are then defined. First is a ContentPresenter that will display the value of the “Icon” property. Next is a Grid that will hold the checkbox, if needed. These are both displayed in the first column of the main Grid (but not at the same time). After this is another ContentPresenter that will display the value of the “Header” property. Next is another ContentPresenter that will display the value of the “InputGestureText” property. Then there is a Grid that will display the arrow if there is a sub-menu. Finally, there is a Popup that will display the sub-menu (if one is defined). The remainder of the Style contains the Trigger items that will manipulate what is displayed based on the type of MenuItem (top-level menu item, sub-menu meu item, etc.) that is being rendered. I will leave these items for a future entry. Hi at http://www.xamltemplates.net you can download a template for free which also has the menu item styled. Your site looks nice, as do your templates. Anyway, thanks for reading and for the link to your site. Nice job…Tweaked it a bit and got exactly what I wanted! YEAH , just what I was looking for! Hey that was cool, Can I take part of your post to my blog, i will post the original source of course. I hope you will be the first I placed a comment to as I value your blog highly. Thanks a lot for the post, it really clears up what Blend does. I’ve been trying all day long but I can’t seem to figure out how to implement the submenu backgrounds that you see in Microsoft Windows XP Professional SP2 (ex: On Outlook, Excel, Visual Studio etc). I want to recreate the way the submenus have a dark gray gradient behind the icon (seems to exist only in that row) while the title part of the menu has the light gray bg color. If you have any ideas on how to create this effect please drop me a line! This style saved me hours. Thank you so much for sharing your effort. There is a Subscribe link in the menu bar at the top of the page. You raise many questions in my mind; you wrote an excellent post, but it is also thought provoking, and I will have to think about it a bit more; I will be back soon. Stunning! At last someone that has learned what exactly they are talking regarding. Your information is great. Accelerator v2 is implemented in native code, but ships with a managed wrapper that allows us to use it elegantly from C# and other managed languages as well. The library exposes various types that can be used for creating data-parallel computations that process 1D or 2D arrays of data. In this article, we’ll work with FloatParallelArray, which represents a computation that returns a 1D array of floats (float in C#). Hi Jim. I’m too slow but I really want to know, what does WPF stand for? Nice post !! What i’s looking for is a little bit different. We can add an input gesture text. Such as "Ctrl + S" on Save menuitem. In menu it appears as – < Save Ctrl +S >. My app enables save menu item only if save is required by app otherwise link is disabled. When "Save" is disabled, save – text appears as disabled (i mean white color) however the gesture text – "Ctrl + S" appears as it is ( i.e. in black color) . 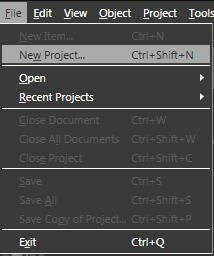 So in all save menu item appears as < Ctrl + S>. Can you suggest something such that gesture text can be disabled too like "save". Are you sure that would be great? I dont think so, it would bad idea for me. Nice post, but i don’t know why i have the feeling that it misses something ..
Can you upload a demo project? I am assigning the MenuItem the style you have provided, and the menu just looks as it would look by default (grey background, black text), just the headers are a little bit displaced. I need the demo project. I think it will be more beneficial if you can post some small tutorial or something like that in a separate article so that users can gain much knowledge from that. I thought XAML was dead. Havn’t heard about it for a while. I guess the same concepts perhaps applied to somebody that provides no products however only advertising space on their blog. I assume that may really well thought-about as a product. I read your entire article. and reached the point that it is useful and very informative article. Thanks for sharing this article. Excellent post. I really like it. Great information. Thanks. Thanks for your exclusive post. I am benefited for this post so thank you. Thanx.This post Help me a lot.